The subject of this roundtable: Pilsners. Our angle: historical. The opening for our reviews: inspired by Jeremy Cowan's trivia-laden labels for his He'Brew brand. Alternative titles considered for this post, which were based upon hip-hop song titles containing the word "check": Cz-Czech It Out, Czech the Rhime, Czech Yo Self. 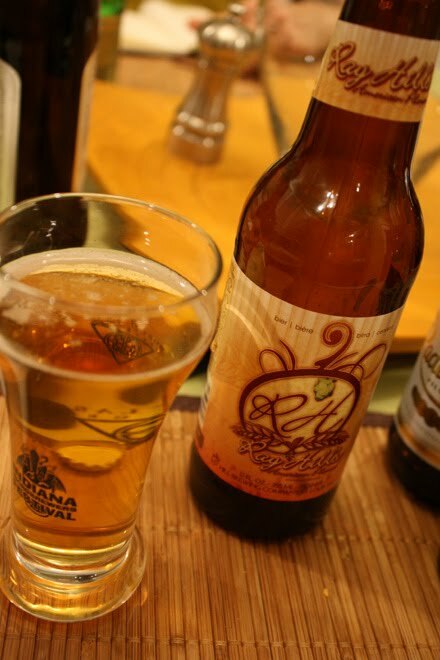 Pilsner is a style of pale lager that originated in Pilsen, Bohemia. The Pilsner style was developed in the 1840s to replace the Bohemian beers that were prevalent at the time, which were often of poor quality. Pilsen is now called Plzeň, and Bohemia is now part of the Czech Republic. Plzeň is home to the second largest synagogue in Europe; the Pilsner Urquell brewery; and Petr Čech, who is the goalkeeper for the Czech Republic national soccer team and English Premier League powerhouse Chelsea FC. Plzeň became a town in 1295 when King Wenceslaus II issued a charter to the town. The Christmas carol "Good King Wenceslas" is about Saint Wenceslas I, Duke of Bohemia, not about King Wenceslaus II, who was not related to Saint Wenceslas I. Fresh trout and carp are traditionally served on Christmas in the Czech Republic. The Czech Republic national soccer team has never won a World Cup. The team won only one game in the 2006 World Cup; it defeated a lethargic United States team 3-0 in the opening game for both teams. Czech hockey star Jaromír Jágr once possessed the mightiest mullet in all of sports. 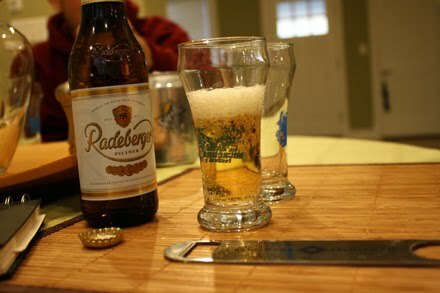 Radeberger Pilsner - This beer comes from a brewery with a long history. It got its start in 1872 in the city of Radeberg as the first German brewery to brew exclusively in the Pilsner style. By 1879, Radeberger was successfully exporting its beer overseas. The brewery continued to operate with many honors and distinctions and was even named as the preferred beer of the Royal Court of Saxony. This fact is something Radeberger is extremely proud of, and you'll find this distinction printed on the bottle. After World War II, the brewery was taken over by communist East Germany. After the fall of the Berlin Wall and reunification, Radeberger returned to the private sector (and the western part of Germany) and is now owned by Oetker Gruppe. Recently, the brewery has made state-of-the-art updates to its equipment and facilities as well as its website, where you can even design your own bottle. Stiegl Pils -This beer almost didn't make the roundtable. My initial intent was to bring some Czechvar, but I couldn't find any at Parti Pak. After surveying the rest of the beer selection, I spied some Stiegl Pils on the top shelf and decided to bring it along because I liked the graphics on the bottle. 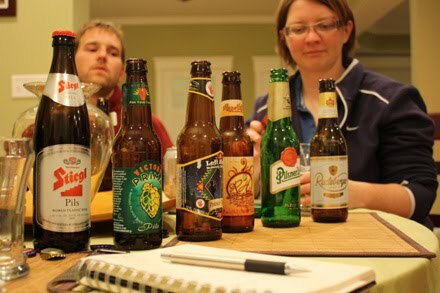 See, we use very deliberate and scientific methods to choose the beers we review. 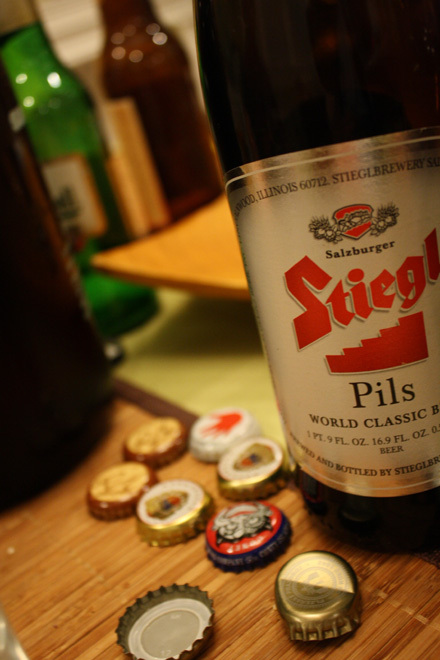 Stiegl Pils is the only Pilsner in the group from Austria (Salzburg, to be precise). Stiegl, which means "steps," is the largest brewery in Austria. Despite its size, Stiegl is still a family-owned business. The brewery was founded in 1492, and, according to Stiegl's website, Mozart was a Stiegl drinker. Pilsner Urquell - Historically, the beers of Bohemia were rather poor. In the 1800s, the citizens of Pilsen decided they could stand no more and founded their own brewery. By bringing in a skilled Bavarian brewer and combining his lagering skills, Czech water, and hops from Saaz, Pilsner was born. This beer would be emulated and copied by many neighboring states and countries due to its amazing success. 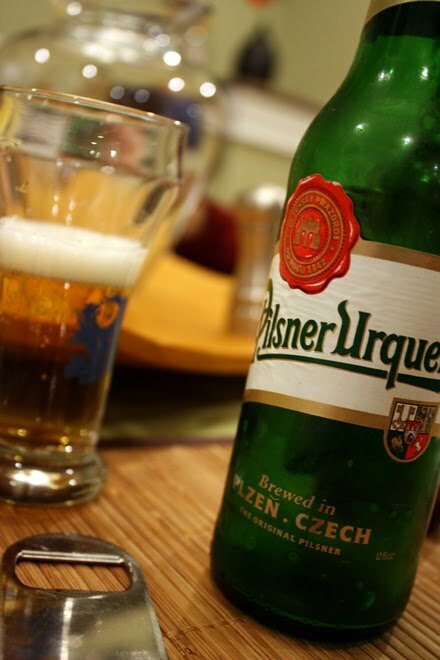 The beer was subsequently named Pilsner Urquell (effectively "the original pilsner") to denote its place in history. 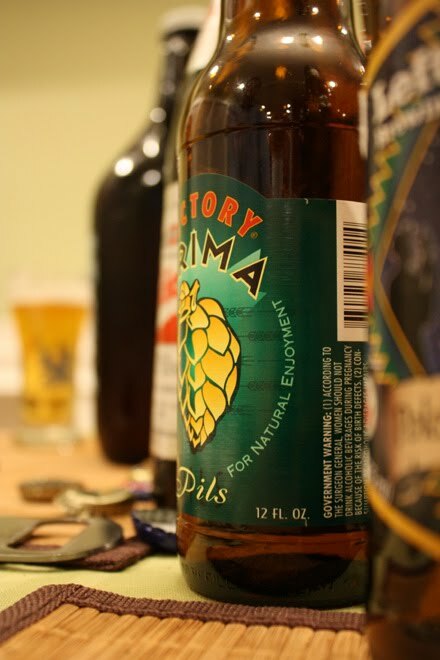 Victory Prima Pils - Victory Prima Pils doesn't have the impressive history that many other Pilsners have, but it does have the honor of being one of the highest rated Pilsners on many popular beer rating sites. 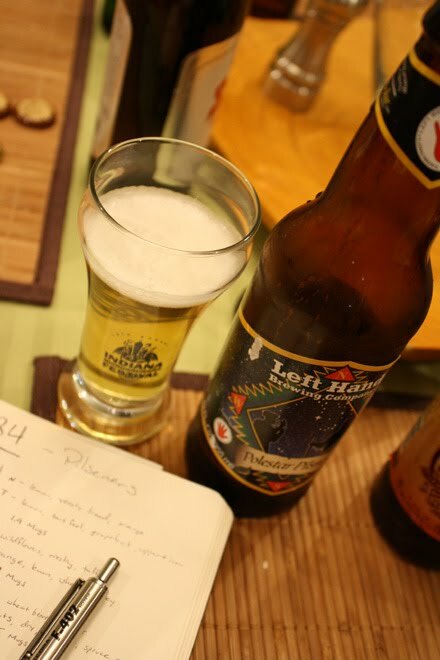 It also remains true to the history of the Pilsner by using German and Czech malts, yeast, and hops. Ray Hill's American Pilsner - This Pilsner has a unique back story. Ray Hill is a former homebrewer from the St. Louis area who hit it big in getting Anheuser-Busch to contract brew his American Pilsner. He actually cashed out his 401K a few years ago and put it all into working on promoting this one beer. He was in agreement with A-B that he would market the beer while they brewed it using his homebrew recipe that he developed himself. 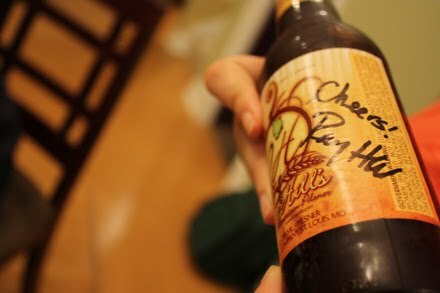 Anheuser-Busch and the Hill Brewing Company parted ways in early 2009, and Ray has continued to work seven days a week to get the brand off the ground. Hill Brewing Company is also trying to open their own independent brewery and restaurant in the St. Louis area. 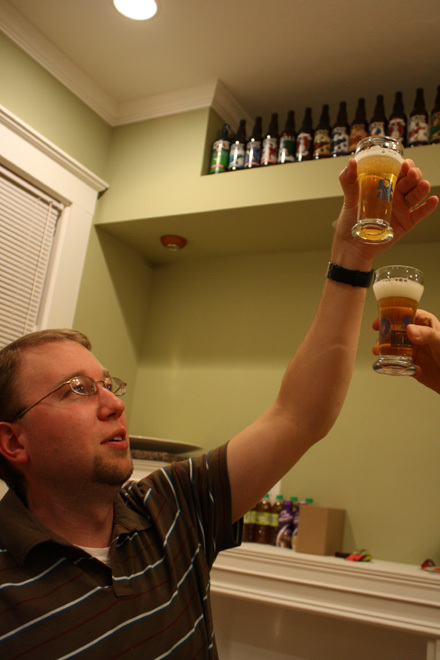 According to STLtoday, Hill will open his brewpub some time early this fall. Left Hand Polestar Pils - Polestar Pils is a beer, unique on this night of sampling only insofar as it is utterly devoid of uniqueness. Of course, that lack of character only applies to the history of this beer. As a beverage, it was much more interesting. A whole array of "fake fruit" could be found in the nose, like taking a whiff from a handful of Flintstones vitamins. The flavor was very crisp and grapey, with notes similar to white wine. I should note that several around the table found a "vomit smell" in their sample. If I was really smelling for it, I could get just a hint of that, but I certainly wouldn't have noticed it on my own and didn't find it particularly offensive. In any case, I think this is a very nice example of a Pilsner and one I'm curious to try in place of food pairings where I might have gone with a white wine. 3.10 mugs. 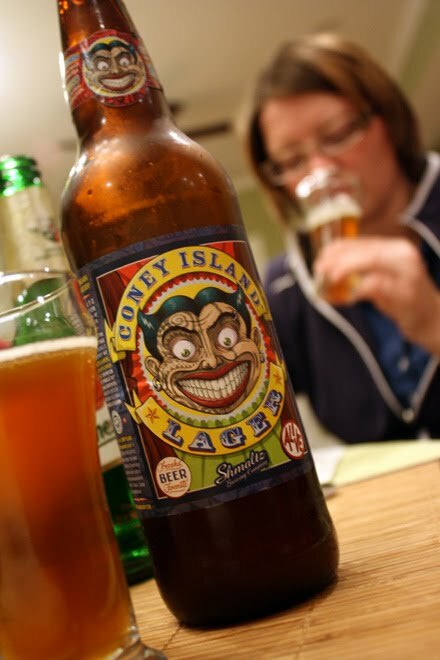 Coney Island Lager - Shmaltz Coney Island lager might not belong in a roundup of Pilsners. Beer Advocate calls the beer an American Amber, and RateBeer claims that the beer is a Vienna lager. In any case, we noticed that the beer was brewed with Czech Pilsner yeast and decided that was good enough to include it in this roundtable. Coney Island Lager is just one of five beers that Shmaltz put together in tribute to Coney Island, and proceeds from the beer go to help Coney Island USA's efforts to promote arts and culture in the Coney Island neighborhood of Brooklyn. The effort is definitely noble, but if you're like me, you're wondering why Shmaltz went with five lagers. While it's certainly a way to differentiate yourself and your beer from everything else, I don't think it's a share of the market that craft beer lovers were desperate to have filled. Perhaps it was just that Shmaltz was already doing such a good job on their He'Brew line of beers that lagers were the only obvious and entirely different choice left. Should point out that Upland makes an excellent pilsner. Of course, we already reviewed it (You can see it here). Just thought I would mention it since we were on the subject of Pilsners. 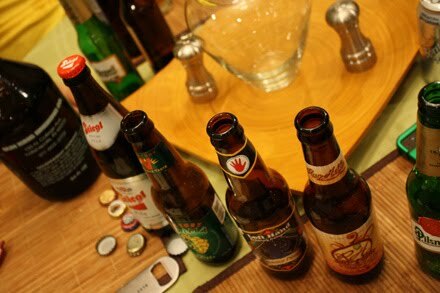 Woah, we gave the Upland Pils a full point higher than anything in this roundtable. The Upland probably is better, but a full point better? I dunno. I think the Upland Pilsner rating was justified. 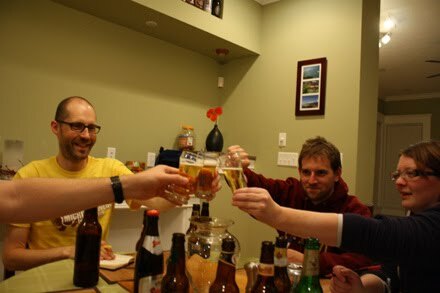 In my opinion, it was definitely better than everything we drank in this roundtable, though I did like the Coney Island Lager and the Ray Hill's American Pilsner quite a bit. I suggest you try Victory Prima Pils and Upland Preservation Pilsner back to back and then tell me that Upland is better. I'd be willing to do that. I'd definitely like to try the Prima Pils on tap. But I have to say that I really liked the Upland stuff. It was a bit maltier than I expected, which is probably why it appealed to my palate. I'm going to Chicago in October and won't be staying too far away from Metropolitan, so I'll be sure to check it out. Prima Pils is great and all, but I think it squanders drinkability -- one of the pilsner style's greatest attributes -- by being too damn hoppy. You should be able to drink pilsners all day long, from tailgate to the game to the after-party. No way you could do that with Prima Pils. hmmm, i got a case of radeberger at costco and was pretty happy with it. not great but serviceable. oh, you should really get pilsner urquell in the can. much better beer. pretty spectacular i think. you should also try jever pils. awesome, hoppy lager. my absolute favorite german pils. I'm a big fan of prima pils for an american iteration on pilsners. pilsners CAN be pretty darn hoppy. they were the original hoppy beer before us craaaazy 'mericans came along with our sierra nevadas and anchor steams. and i'd put upland's pilsner somewhere in the middle of the pack here. it's decent, but doesn't separate itself in any way. which sounds like a diss, but i think pilsners are the hardest style to brew. so even getting close for a microbrewery is a coup.